After 30 years in business as Affiliated Dental Specialists (ADS), this family-owned dental practice was stunted by low media visibility, a struggling brand image and a mismatched logo. The company sought to align the brand identity with their values: authentic people providing efficient, quality care to the San Diego coastal community. Great Smiles’ differentiator is that their dentists get to know patients beyond the bodies in the chair to provide the best possible experience – but the company needed a way to convey this to the public. 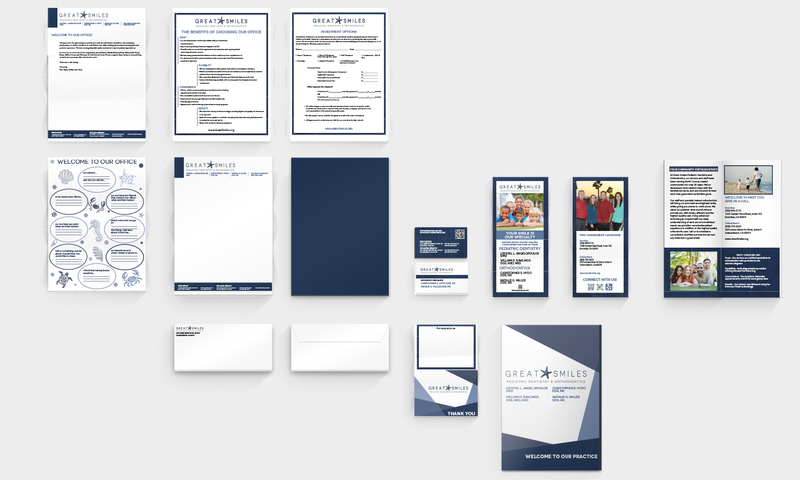 WOC rebranded Great Smiles with a new name, logo and signage as well as strategic community, media and social media outreach. The whimsical and friendly sea creature visual brand was supported through programs like a holiday volunteer work to bring “great smiles” to sick children and extensive toy drive. WOC was able to secure press coverage for the dentists’ philanthropic efforts, which helped position the practice as a locally owned and community-minded provider. WOC also expanded social media channels from Facebook to Yelp to target San Diego coastal families and strengthen Great Smiles’ presence in the local community.